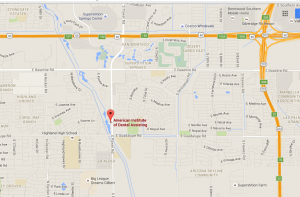 Is There a Dental Assisting School Near Me? Finding a school to attend can be a difficult task. Many students will do research and spend hours searching. They will tour several different schools in search of one that will be just the right fit for them. Every program has something a little bit different to offer and students must decide what is important to them and find a school that matches that. 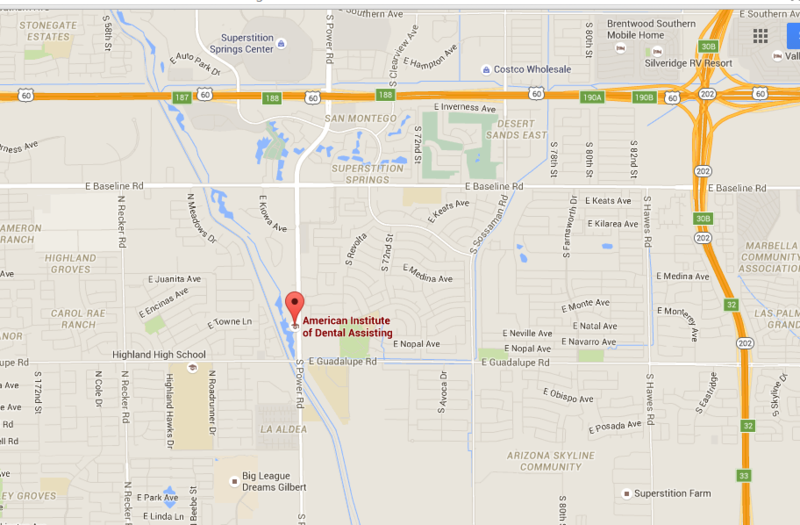 The American Institute of Dental Assisting is conveniently located in the east valley. It is an easy commute to those living in the Gilbert, Chandler, Mesa, Apache Junction, and Queen Creek area. It is also just a short drive away from freeway access. This allows students from the west valley to travel to the school with convenience. The American Institute of Dental Assisting offers a short 13-week program. We have found that this is the perfect amount of time to teach students what they need to know in order to be successful on the job. We teach with a hands-on approach. All of our students learn with real dentists and real patients. This practice in a real dental environment will help them develop the necessary skills to be a great dental assistant. If you’ve been looking around and asking yourself “is there a dental assisting school near me?”, the answer is yes, there is! We are right around the corner and ready to help you achieve your dreams of starting a great career. Give us a call today and schedule a tour!